Borderlinx | Buy Tom Tailor and ship worldwide with Borderlinx. Cheap rates guaranteed. For fashion conscious consumers of all ages and genders, Tom Tailor Germany is the go-to site. This rapidly growing fashion house is at the forefront of chic apparel and lifestyle products for everyone. With Classic Tom Tailor, Denim, Polo Team and Contemporary, the Tom Tailor Germany Brands have you covered. Each brand has a significant clientele, from teenagers and young adults to mature, professional men and women. Tom Tailor Germany has recently positioned itself as a new urban player, and its 12 annual collections feature innovative, stylish apparel with detailed, clean lines. The Tom Tailor Germany website offers both savings and convenience for your clothing needs, featuring sales items and time limited discounts that stretch your money further. Outfit kids, teens, men and women in Tom Tailor Germany fashions that will turn heads and make a statement. Tom Tailor Germany sells apparel to outfit you from head to toe, and the Tom Tailor Germany product line includes fragrances, shoes, belts, bags, hats, and other accessories to complete your look. You'll be inspired. 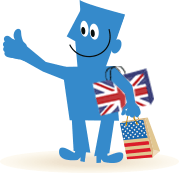 Purchase great products from Tom Tailor in Germany with worldwide Borderlinx shipping! Our global shipping company makes it easy to order from around the globe. Check out how affordable our services are with the tax & duties calculator and learn about the Borderlinx benefits available to you. A number of services are available through Borderlinx to make international ordering from Tom Tailor Germany hassle-free, including shipment value protection, free repacking and consolidation services.